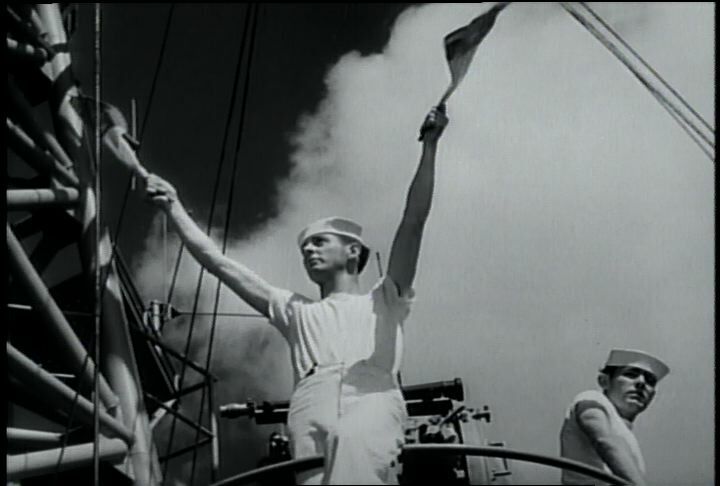 Continuation of the film of preparations by the US Navy for Operation Sandstone. Chicago: “War and Peace in the Nuclear Age; Weapon of Choice, The; The Navy's Part in Operation Sandstone (2 of 3),” 01/01/1948, WGBH Media Library & Archives, accessed April 21, 2019, http://openvault.wgbh.org/catalog/V_FE254C0D3BDE418687DBB1EDD831AEF1. MLA: “War and Peace in the Nuclear Age; Weapon of Choice, The; The Navy's Part in Operation Sandstone (2 of 3).” 01/01/1948. WGBH Media Library & Archives. Web. April 21, 2019. <http://openvault.wgbh.org/catalog/V_FE254C0D3BDE418687DBB1EDD831AEF1>.